In our years of experience in the payment processing industry, we’ve heard many horror stories from customers who have switched to us from abusive merchant account providers. These deceptive payment processors have lied and snuck in hidden long-term contracts. Also, they’ve stolen funds and even committed forgery against some of our current clients. Some business owners have even been physically threatened by sales reps! This crosses the line of false advertising into committing felonies! If you ever come across someone like this, the best thing to do is to avoid contact with them and report them to the authorities. This fraud and abuse has given business owners a rightfully suspicious attitude towards payment processing reps. But allow us to share what makes us one of the good guys. In addition, learn how how we earned our clients’ trust and what makes PayFrog different. Want to Know What Makes PayFrog Different? We represent multiple payment processing providers. Brokers are common in insurance, but not so much in merchant services. The idea behind it is that the sales agent (broker) has multiple options to present to their prospective clients. A captive agent pushes a single solution on a client because that is their only option to sell. However, a broker has experience with different processors and can recommend the solution that best fits their client. Each payment processing provider has access to some proprietary technology that helps them stand out and differentiate themselves in the marketplace. By representing multiple providers, we bring a slew of proprietary solutions to our merchants that they can’t get just anywhere. Each of our sales staff has become a Certified Payment Professional by the Electronic Transaction Association. This means you can be sure your PayFrog representative is knowledgable about the products or services they recommend. Also, you can trust their expertise to recommend the best and most appropriate solutions for your business. You not only want to know you’re getting a good deal on your credit card processing, you want to know that you’re getting the absolute best rates you can get on your merchant account. That’s why we’ve developed a rate match or beat tool so you can be confident you’re getting the best rates in town. It may be that we are a small business ourselves, but we like combining cutting edge technologies with old-fashioned values. We take pride in servicing fellow, hard-working American business owners that understand the value in a handshake over a contract. That’s why we don’t lock you in one. We’re not looking for a quick buck, just an honest buck for an honest day’s work. 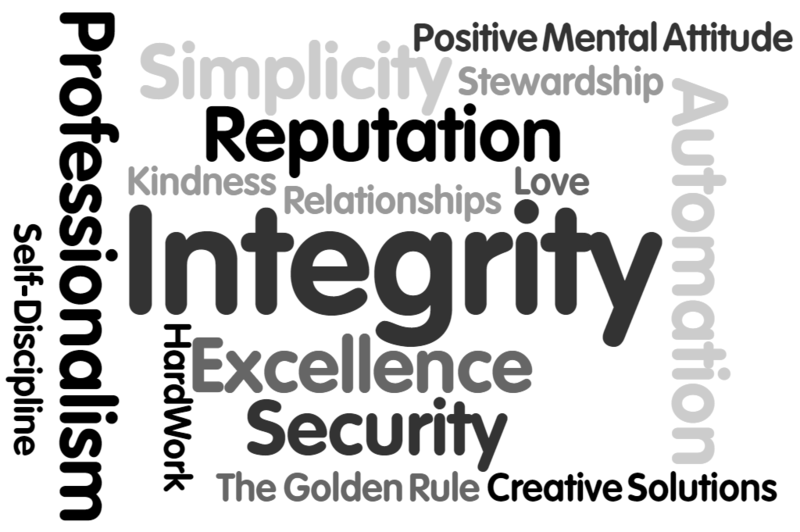 For us, integrity is more than just honesty. Integrity for us is also showing up for appointments on time, giving follow-up calls when we say we will, remembering people’s names, and making accurate representations of the pricing along with the full range of benefits and limitations of technologies in our proposals. PayFrog understands that each and every one of our clients has their own dream for their business, and we want to see you achieve it! You’re success is our success. 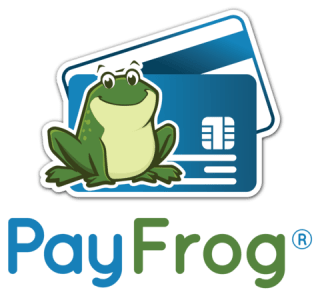 PayFrog may be a merchant services brokerage with access to proprietary technologies and with knowledgeable Certified sales staff who offers the best merchant account rates, but really what makes PayFrog different is that WE CARE. We care about you. We care about your business. At PayFrog, we care for your business and your team just like we care about PayFrog and the people who work here. One of our most common phrases we find ourselves saying is, “If I were in your shoes, this is what I would do…” and that’s because we only give advice that we would take ourselves. Were were taught to “Love your neighbor as yourself” and so we are constantly treating others the way in which we like to be treated. That is what makes PayFrog different. Part of our service is connecting merchants with payment processors who embody our ethics. One of our premier partners we love to work with is PayJunction, located in Santa Barbara, CA. We take pride in what we do and we treat our clients as if they were part of our own family. So what are you waiting for? Ready to experience what makes PayFrog different?